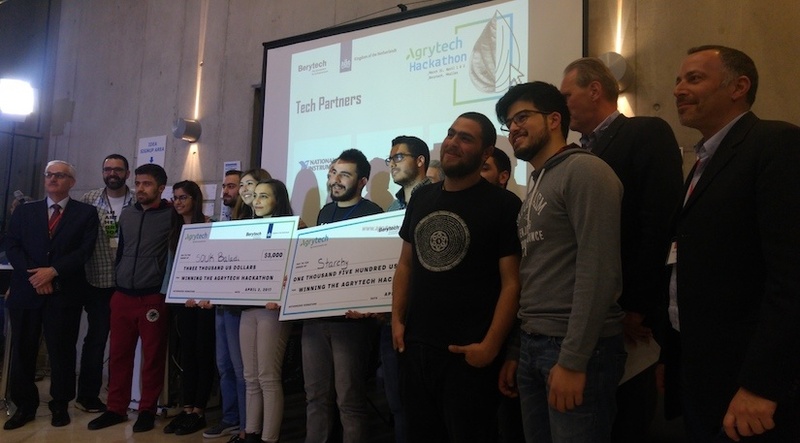 A logistics idea called Sou2 Baladi won Lebanon’s first agritech hackathon on Sunday, taking home $3,000 and a place in the new Agrytech Accelerator program, a play on the name of the program’s host, Berytech. The second prize went to Starchy, a bio-based apple coating designed to extend the fruits’ shelf life. They won $1,500 and a place in the accelerator. The judges’ choice prize was for Pet Aquaponics, an in-home plant-and-fish aquaponics system to help people with autism. “I think what was really interesting was that we had people from all over the regions in Lebanon,” said Wamda’s Elias Boustani, who was on the final judging panel, given that often hackathons were targeted at Beirut techies. A logistics service between selected farmers and food buyers. People can order fruit, vegetables or preserves through the app and the company picks it up, packages it, and transports it to depots where the buyer picks it up. The judges bridled at their description of not being a ‘middleman’. The team said a middleman obscured the final price and supply chain information, while they would lay it open for their farmers and buyers. Apple farmers spend 40 percent of their costs on storage and coatings to extend shelf life, said this team, reducing the value of a crate of apples by $13. Their edible bio-based starch coating, that can be peeled off the apple before eating, could give an apple a three month shelf life, as opposed to two months in cold storage, and costs around $3 a crate. The judges were interested in how the team knew it would work (they’d been working on it before the hackathon at university) and how they’d prevent copycats - the answer was a secret recipe and coating technique. 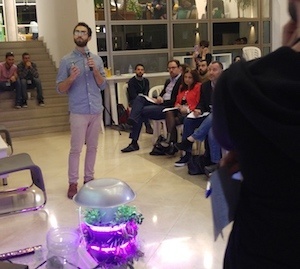 An indoor, automated aquaponics system paired with a gamified app, targeting autistic people. A gamified approach would reward care of the plants and fish in the unit, while the app would use the state of the plants as a metaphor for emotions: a dying plant is sad, a watered plant is happy, and so forth. The judges were keen to find out more about the distribution channels, which would be via the parent company Reable’s existing partnerships and sale channels with autism centers. 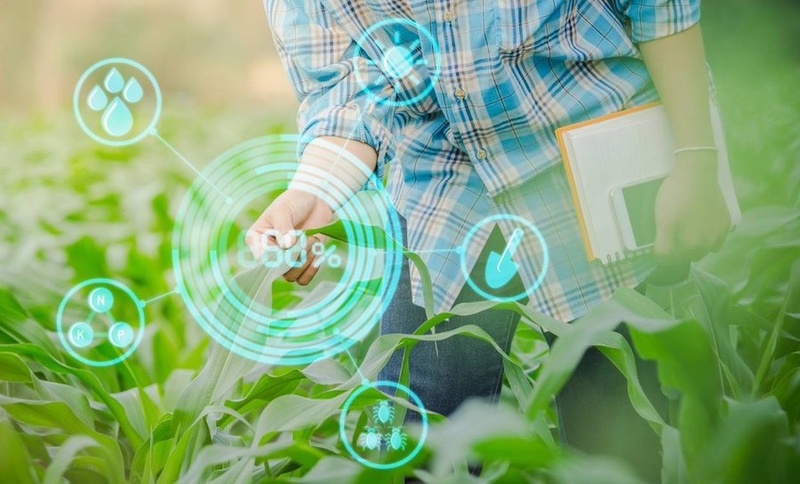 An automated greenhouse sensor system, backed by an app, anticipated to lift production by 30 percent and reduce water use by 70 percent. The team is pitting themselves against existing players including Riego in Lebanon and Nestrom in Jordan. The judges queried just how many sensors one would need, to which the team replied that that would depend on just how much control one wanted over their greenhouse. An ecommerce platform to redistribute restaurants’ unused but cooked meals at the end of service, potentially also charging food distribution NGOs a subscription to pickup and deliver the meals. The judges wanted to know how the team could ensure restaurants charged for their excess meals at a quarter of the normal price, and queried whether NGOs would be interested in paying for a service they were currently doing themselves for free. Pitching the Grow 'n Lantern. An indoor aeroponics for herbs ‘lamp’. The modular device was designed as a lamp rather than as a food-growing unit, to reduce people’s fear over their ability to nurture plants. 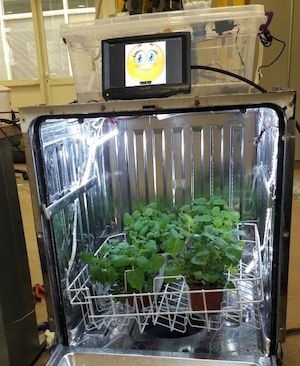 The judges wanted to know whether it would be possible to provide without the violet, bright LED lights and whether it had already been tested, given the plants in the prototype were picked that day. A platform to give people technical advice and sell plants, this app would tell newbie gardeners which plants would work best in their garden’s conditions and allow them to buy from local garden centers. The judges raised the point that if no one had done it before, it would be good to find out why and learn from that (although a highly active Facebook community in Lebanon called Plant Exchange Beirut suggests it may have a base to build on). This idea was a soft-bottomed ‘bucket’ for fruit pickers that can be hooked around a user’s neck or over the shoulder. The $30 bucket, instead of pickers’ usual 15 liter plastic paint buckets, could increase the volume of premium apples by 20 percent, and lower harvest costs by 30 percent. A sensor would measure weight, protecting pickers’ health, and allow farmers to track their employees. The judges wanted to know how they’d prevent cheaper copycats, given the simplicity of the design. This idea wanted to match urban landowners with farmers, and then allow the farmer to create a crowd-investment project to fund his use of the land. 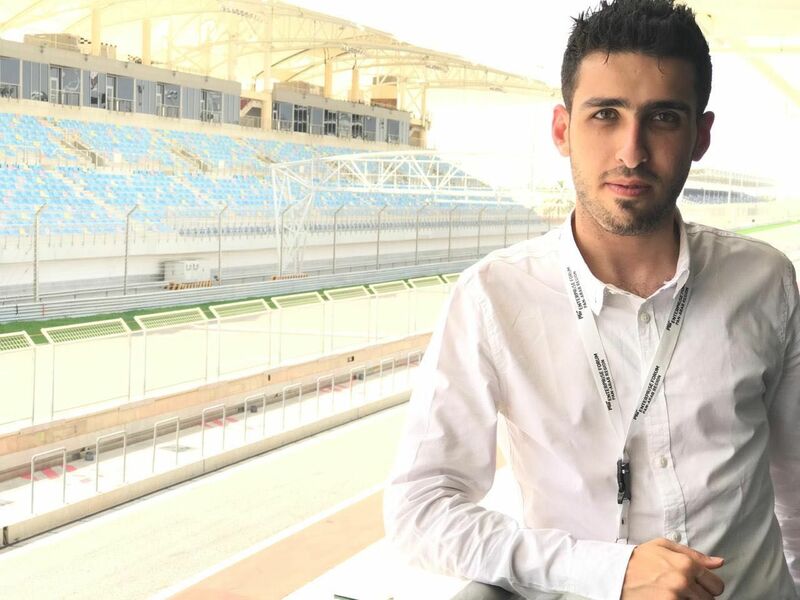 The proceeds of the project would be split, with 41.5 percent each for the landowner and farmer, and the team and investor both receiving an 8.5 percent return. The judges pointed out that crowdinvesting was illegal in Lebanon. They also said as the investor was taking all the risk and the farmer was doing all the work, the percentage shares of the profit needed adjusting to make it fairer and attractive. 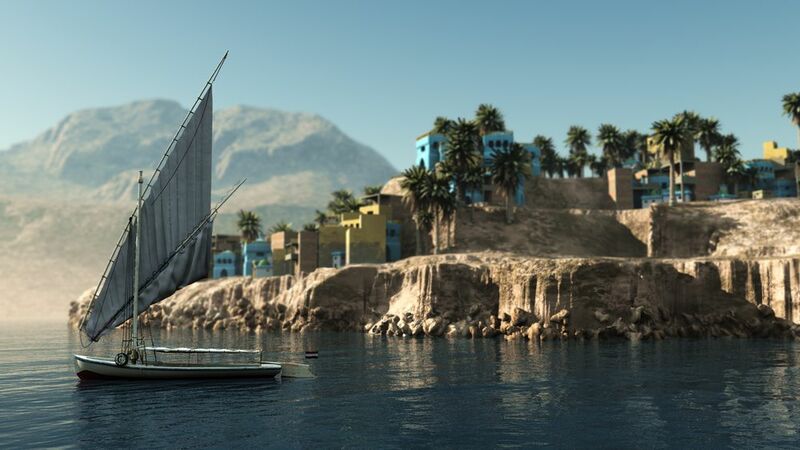 The judges queried the 20 percent transaction fee the project would charge, saying it was very high, and who would deal with logistics after the sale (the parties to the sale would). The main comment was how to stop buyers and sellers from using the platform to discover each other then dealing privately.